In the past, Egypt, Babylon, Persia, and Rome fell when a small percentage of the population controlled nearly all of the wealth. 2Today, the rich have never been richer nor the poor poorer. The concentration of wealth has been achieved by conquest, as well as by one of the most powerful tools of empire — money. The origins of paper money can be traced to receipts that goldsmiths provided to their customers, who would leave their gold with a goldsmith for safekeeping. Centuries ago goldsmiths began giving out receipts for the gold that they safeguarded, and people soon learned that the receipts were more useful for business transactions than heavy amounts of gold. Some enterprising goldsmith figured out that it was not necessary to maintain a supply of gold equal to all the receipts issued, because all the customers would never come to claim their gold at the same time. Because large amounts of gold weren’t necessary to ensure the utility of receipts, the goldsmith was able to issue many times as many receipts as he had gold in his vault, and the fractional reserve system was born. Since goldsmiths began to loan gold and receipts at interest, the system of “debt money” was born in which customers had to pay back more money (receipts) than were in circulation — thus ensuring that the community as a whole would always be in debt to the goldsmith. Kings, queens, and nations have succumbed to the power of those who lend them money, finance their wars, pay their armed forces — and own the means of communication, which either provide rulers their aura of legitimacy or can just as easily demonize and dethrone them. In 1890 the German economist Silvio Gesell formulated a theory of money that was as revolutionary as the notion that the earth circles the sun, rather than the other way around — despite appearances. Gesell suggested securing the money flow by making money a governmental service subject to a use fee. Instead of paying interest to those who have more money than they need, people would pay a small fee if they kept money out of circulation. The fee would serve as income to the government and would reduce the amount of taxes needed to carry out public tasks. Gesell’s ideas were tested by the mayor of Worgl, Austria in 1932 when economic conditions were deplorable. The mayor proposed to substitute a local currency for the national currency — which he called “work certificates.” On the first of every month the holder had to affix a 1 percent stamp of the face value of the certificate. The “taxes” went into the community chest, to provide a relief fund for the invalids or elderly who were unable to work. Because of the stamp tax, taxes were paid quickly, accounts were settled without the usual delays, and even the bank became eager to loan out money, as fast as it received it. If the Federal Reserve were actually a part of the US government, would the US government need to borrow money? Wouldn’t it be able to just print its own? In 1913 the Federal Reserve Act took away Congress’s Constitutional power of regulating the value of money and bequeathed it to private banks.7 Since then the financial plight of the US government has been dire and under pressure from the very rich, who choose which candidates and politicians will serve their interests and oust those who threaten them. The history of the stock market reveals a transition from investments in real companies producing tangible, measurable products and services toward “financial instruments” of an increasingly speculative nature. Electronic money, borrowed and loaned into existence, flowing through cyberspace, can wreak havoc and collapse entire nations’ economies. In the 90s the Multilateral Agreement on Investment (MAI) was devised to ensure the ability of speculators and multinational corporations to move capital in and out of countries without governmental involvement or public interest safeguards.12 Recognizing the dangers of this agreement to the interests of people everywhere, civil society organized global resistance via the Internet to defeat the MAI. Global resistance to corporate globalization broke through the mainstream media barrier in the US in 1999 in Seattle, Washington, when tens of thousands of protestors tried to peacefully shut down a World Trade Organization meeting. The first Indymedia.org website was created specifically for that protest to share information from the point of view of activists. Since then the Indymedia network has grown to span the globe — particularly in those cities where international protests have been organized, the main website is accessible in eight languages. Colossal crimes have been committed and then masked by the media for centuries. But the larger pattern in this era of information — including names, dates, evidence, and various kinds of documentation — is coming to light at a staggering rate, beyond the capacity of any one individual to absorb, read, process, and disseminate all the details. In turn the information is gradually reaching the most heavily propagandized target audience — the American public, who are increasingly losing faith in their government, the war, the Congress, and the financial system. The best historical parallel to 9/11 would be the Reichstag fire, which Hitler used to vilify and target “communists” and pass the Enabling Act (similar to the PATRIOT Act), before launching wars of aggression. The PATRIOT Act was mirrored by legislation passed in Canada, Australia, and the UK, severely eroding civil rights and granting more power to governments to chill dissent — to monitor and crack down on those they considered a threat. In September 2008, the Fed, in an unprecedented move, lent $85 billion to the American International Group (AIG), the nation’s largest insurance company, which also handled credit default swaps and suffered losses from its subprime mortgage-backed securities holdings.29 Then Lehman Brothers filed for bankruptcy, and Bank of America devoured Merrill Lynch. Soon there was a run on money market funds, and short selling of financial stocks was suspended globally. Bush made a speech acknowledging that there was a serious crisis, and backed Paulson’s bailout plea. “There is increasing evidence that Paulson was influential with two U.S. Securities and Exchange Commission Chairmen, William H. Donaldson and Christopher Cox, in receiving restraint in the Commission’s exercise of oversight requirements. In 2004…the Commission agreed unanimously to release the major investment houses from the net capital rule, the requirement that their brokerages hold reserve capital that limited their leverage and risk exposure. The complaint that was put forth by the investment banks was of increasingly onerous regulatory requirements — in this case, not U.S. regulator oversight, but European Union regulation of the foreign operations of US investment groups. In the immediate lead-up to the decision, EU regulators also acceded to US pressure, and agreed not to scrutinize foreign firms’ reserve holdings if the SEC agreed to do so instead. The 1999 Gramm-Leach-Bliley Act, however, put the parent holding company of each of the big American brokerages beyond SEC oversight. In order for the agreement to go ahead, the investment banks lobbied for a decision that would allow “voluntary” inspection of their parent and subsidiary holdings by the SEC. Ohio Representative Marcy Kaptur spoke out bravely against the bill, explaining precisely how it was being rushed through Congress31, and Dennis Kucinich condemned it as well. Their token resistance was swept aside, even as Representative Brad Sherman pointed out the fear mongering and panic pressure placed on Congress to push it through.32 The fear that was generated by insiders and the media, as well as some token pork, helped to get the bill passed on Friday, October 3, 2008. Democrats, Republicans, and both presidential hopefuls were behind the bailout. Any close scrutiny of the financial ties of major politicians — particularly those in office such as Bush, Cheney, Rumsfeld, Pelosi, and Feinstein — reveal major conflicts of interest between the politicians and the military, oil, and pharmaceutical industries. At the highest levels, however, there is no accountability. Laws are meaningless to these people. They have the power and influence to pass murderous legislation that enriches and empowers them and their cronies and threatens and impoverishes the rest of us, all of this veiled by a subservient corporate press that bestows upon them an aura of legitimacy. Within government agencies there is corruption, fraud, and the persecution — rather than protection — of whistle-blowers. There is a battle going on — a clash of worldviews over what is true, legal, and moral; over who is a terrorist, and who is serving humanity; over who has the right to live, and who has the right or duty to jail, kill, or torture anyone. Every individual will have to decide for themselves what is true and what is legitimate — what is best for themselves, their families, their country, and the whole planet. The perpetrators of 9-11 had a different strategy. Their strategy was to terrify the American people into silence and submission, then bully the Congress into nearly unlimited funding for war and a greatly expanded surveillance industry (the anthrax attacks came at a convenient time for this). The perpetrators of 9/11used a BIG LIE to sell a “bogus protection racket” to their victims — to institutionalize under the guise of “National/Homeland Security” a greater concentration of wealth and power into fewer hands. Their tools were violence, fear, criminal fraud, manipulating the financial markets, and selling it all to the American people through the megaphone of the mainstream media. Cheney, like Napoleon, believes that you don’t have to suppress a truth — just delay it until it no longer matters. There are a growing number of people who are challenging the lies, especially through the Internet. It is apparent that those in power are very much afraid of the Internet, of people’s ability to share information and communicate so that they can organize in unprecedented ways using emerging technologies, or simply gather together in a public space where free speech is still possible. The most important issue is the age-old struggle between the majority of people and the individual and institutional powerholders to determine whether society will be based on the authoritarian model — where power flows from the top down — or the “people power” model of genuine participatory democracy. In order to behave maturely, wisely, and responsibly — and to make wise rational decisions — people need to know what is true, what is real. One of the heftiest charges against members of the Bush Administration is their attack upon science.38 There is ample evidence that they have ordered agencies to be silent about their findings, or to fudge data to suit political purposes and shape public opinion. Only Bush science, as exemplified in the NIST report, could explain the collapse of all three World Trade Center buildings at free-fall speed as due to fire alone. Hundreds of independent scientists, architects, and engineers have rejected the conclusions of the NIST report. The scientific evidence indicates that two planes could not have shredded three steel-framed buildings, but that controlled demolition does explain their rapid disintegration. It is increasingly challenging to evaluate scientific studies without knowing who has funded them, and for what particular purpose. Researchers whose findings challenge government or corporate objectives are vilified and lose their funding. Citizen-supported scientific research and data collection whose intention and purpose is clearly in the interests of the health and well-being of people and their environment — whose data can be shared, checked, verified, and corroborated by others in a transparent manner — will ultimately gain the widest acceptance. The individual and human journey also passes through stages. As proposed by Abraham Maslow in his classic study Toward a Psychology of Being,healthy people outgrow the self-centered need for material acquisition and find greater joy and purpose in more expansive activities — such as developing friendships, being of service to others, expressing creativity, and joining together with others to solve problems. The deliberate infantilization of the public and the manipulation of the public mind has contributed to the current crisis in values, where people seem to be concerned only for themselves and are cynical about what is happening in the world. The cure lies in the maturation of our species. The times that we live in are calling to us to grow up, individually and collectively. We need to develop a greater understanding of ourselves and our world, to develop our talents and skills to make this a better world. Despite the dangers and challenges of the time we live in, we can find meaning and joy through joining together in the search for truth, peace, justice, and, freedom. As Gandhi and others have demonstrated, the truth, combined with love and compassion, will set us free. As we work together to pursue the truth and expand our awareness, we are lifting the veil and awakening from a media-induced trance so that we can more clearly see how we have allowed our power to be taken from us. This knowledge will empower us to reform the outmoded structures that are so oppressive and to create new systems that truly serve the needs of the people and the planet for current and future generations. Ed. Note: GlobalResearch.ca, where this piece was earlier published, has a significant, growing set of articles addressing our financial crisis. Carol Brouillet, longtime 9/11 truth and community currency activist, is also candidate for US Representative from California’s 14th District. Following is her interpretation of our current financial meltdown, “Evolution of the Apocalypse: Empire’s Demise, Human Renaissance,” as well as her campaign statement and pertinent information. Video of her candidate statement is below. Carol Brouillet is a longtime activist who organized three conferences on Strategies to Transform the Global Economy and (the first) marches on her Senators and Congresswoman in January 2002 to Demand a Congressional Investigation of 9-11. 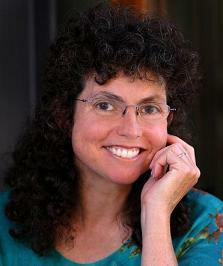 She publishes the Deception Dollars, and Co-Founded the 9-11 Truth Alliance, and the Northern California 9-11 Truth Alliance . She organized premieres of films, educational events, marches, rallies for 9-11 Truth, the San Francisco International Inquiry into 9-11, and produced the film Behind Every Terrorist- There is a Bush. She is also a mother of three boys and held a weekly Listening Project in downtown Palo Alto from October 2001 to October 2007, now she holds it once a month on the 11th, in solidarity with other 9/11 Truth activists worldwide. She ran for Congress in 2006 on the Green Party ticket on a 9-11 Truth, Peace, Impeachment platform and will be on the ballot again in 2008. Read the rest of Carol’s bio at questioningwar-organizingresistance.blogspot.com. Here is Carol’s Candidate Statement, and text of a speech she recently gave, with an article about the race published in the Santa Cruz Sentinel. ISSUES: Impeachment of President Bush, repeal of Patriot Act, redirect military resources. …”It is out of love for my family and the world that I work for political change. I want to redirect our nation’s resources from a war economy– from killing and controlling– towards a peace economy. War is the biggest, most lucrative business on the planet. Congress has supported a corporate military agenda that threatens our nation and the world. The Executive Branch has attacked our rights, launched pre-emptive wars based on deceptions, institutionalized torture, military and police force against people who stand in its way. The most outrageous conspiracy theory about 9/11 was the one used to sell the war in Iraq. The Bush Administration’s corruption of science to pursue political goals violates the health and well-being of all and clouds our ability to make rational, wise decisions. The White House directed the EPA to falsely reassure people about the air and water quality at Ground Zero in the wake of 9/11. As a result, people are still dying from their exposure to the toxic dust. Congress failed to investigate 9/11. The 9/11 Commission, overseen by the author of the pre-emptive war doctrine, used their report, with its omissions and distortions, based on unreliable tortured confessions, to justify the construction of Homeland Security, and to pave the path for future wars. Yet, Congress approved its flawed recommendations, to expand a police state that has been used to violently suppress and criminalize us. Why were those most responsible for the failures of the military and the intelligence agencies on September 11th, rewarded with promotions and increased budgets? Who had the ability to carry out 9-11, to destroy the evidence, to cover it up, and who benefited? Cheney and Rumsfeld had worked for twenty years on “Continuity of Government plans” which were partially implemented on the morning of 9/11. The emergency measures have been renewed annually by the President, although the details have been kept secret. We do know that within the Continuity of Government plans, Congress is viewed as an impediment that can be discarded in favor of unelected, unknown appointees. In August, the government released a report on World Trade Center 7. Not hit by a plane, its rapid disintegration into a neat pile exhibited all the characteristics of a controlled demolition. Yet, the report claims this 47-story steel-framed high rise collapsed on 9/11 due to normal office fires–a first in history. It’s farcical Bush science, denying reality. Treason is a crime which demands impeachment. We need to impeach those who have committed the highest crimes against our country. We need to recognize that the “War on Terror” is the biggest fraud ever and is a “War of Terror” against all of us. “Real security” doesn’t depend upon weapons, spies, deceptions. Security cannot come from terrorizing entire nations in order to maintain the wealth and power of a few over the many. Real security comes from healthy relationships, a healthy environment, the cooperation of those who value and respect life and one another. We need citizen oversight at every level of our electoral processes, or we will be stuck with illegitimate, criminal governments serving corporations, at the expense of people and planet. The failure of the press to seek the truth, expose the lies, has obliged those of us who love life and care to become the media. I organized the first rallies and marches to demand a Congressional Investigation of 9/11, the first San Francisco International Inquiry into 9/11, 9/11 Film Festivals, events for years. Those who look at the evidence know that the official reports on 9/11 are frauds. We need a genuine investigation of 9/11, we need the truth, to make wise, intelligent decisions. War, terror, fear have been wielded by those frightened of losing power. Do we want to be ruled by fear or to be ruled by laws which apply equally to everyone? We must champion truth. Truth is powerful, combined with love, it gives us the courage to speak, and becomes the most powerful force in the Universe. Vote for truth, for impeachment, for genuine investigations, for peace, for justice. Vote Green, for me, Carol Brouillet, for Congress. Editor’s Note: Incumbent Anna Eshoo, D-Palo Alto, is running against Libertarian Brian Holtz, Republican Ronny Santana and Green Carol Brouillet for the 14th Congressional District seat. SANTA CRUZ –The work in Congress hasn’t been easy lately. If it’s not voting to spend $700 billion of taxpayer money to bail out Wall Street, it’s figuring out what to do about offshore oil exploration. There’s also a war on two fronts, not to mention that most in Congress are up for re-election next month. Sixteen-year Rep. Anna Eshoo, D-Palo Alto, is one of those seeking another term and, with three relatively unknown challengers vying for her seat, she’s counting on her experience to appeal to voters during these turbulent times. The Democratic lawmaker has long toed the progressive line of her party, scoring high marks for votes on social and health issues, reforming energy policy and environmental protection. Last week, Eshoo was among House Democrats disappointed about the failure of Congress to renew a decades-old moratorium on domestic drilling. “I’ve always fought offshore oil drilling. It’s simply wrong-headed,” she said in a recent interview. This week, Eshoo supported a controversial proposal to use billions of federal dollars to address what she called the “Chernobyl of the financial sector.” She said the government plan is necessary to stave off more economic turmoil and that it was an improvement over earlier proposals. Eshoo blamed the collapse of the markets on the “cowboy capitalism” promoted during President Bush’s two terms. None of Eshoo’s three challengers said they support the bailout package proposed this week. “We need the people who took the risk to pay the price or otherwise they’ll keep doing this,” said Libertarian candidate Brian Holtz, a software engineer at Yahoo and resident of Los Altos Hills. Holtz, like the three others who want Eshoo’s job, acknowledges his chances of winning the election are slim but he wants to give voters another option. Opposite Holtz’s libertarian platform is Carol Brouillet, the candidate for the Green Party. Brouillet, who maintains that Sept. 11 was an inside job, ran unsuccessfully for Congress two years ago on a pledge to impeach the president. “The reason I’m doing it again is to raise the issues that are taboo,” said Brouillet, a Palo Alto resident and longtime political activist. Brouillet is a staunch opponent of the war in Iraq and would put military money and resources to work for other purposes. Incidentally, Eshoo was among the minority in Congress who voted in 2002 against giving the president the authority to go to war. Republican Ronny Santana, of Saratoga, is also on the ballot. If elected, Santana says he would push to better enforce immigration laws, fight terrorism and protect the public from government intrusion. Eshoo was elected to the House of Representatives in 1992, after having served on the San Mateo County Board of Supervisors for 10 years. In Congress, Eshoo sits on the House Permanent Select Committee on Intelligence and the House Energy and Commerce Committee, where she serves on the Subcommittee on Health and the Subcommittee on Telecommunications and the Internet. One of her recent legislative proposals, which drew no shortage of media attention, would require the Federal Communications Commission to regulate the volume of television commercials. The bill, which has yet to be passed, came in response to complaints about the sudden increase of volume when television programs yield to the commercial break. “I know there’s profound issues facing this country, but there are still other things lower on the totem poll that we have to look after,” she said.